Shuntaro Furukawa is the President of Nintendo. 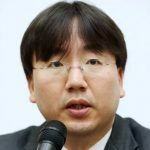 He was appointed on April 26, 2018, replacing Tatsumi Kimishima. Mr Furukawa was with Nintendo starting from 1994. In the last two years prior to becoming the President, he was managing executive officer, supervisor of corporate analysis & administration division and director of Nintendo.